I have an unhealthy amount of jewelry and so much of it never gets worn because I have nowhere to display it. A perfect example of the “out-of-sight-out-of-mind” type of issue. A few years ago I made a similar hanging jewelry organizer hoping to solve my issue and give all of my lovely jewels some equal wear time. Unfortunately, it was a bit small and the way it hung gave my deeply rooted need for perfection and making sure things are level a slight stroke! 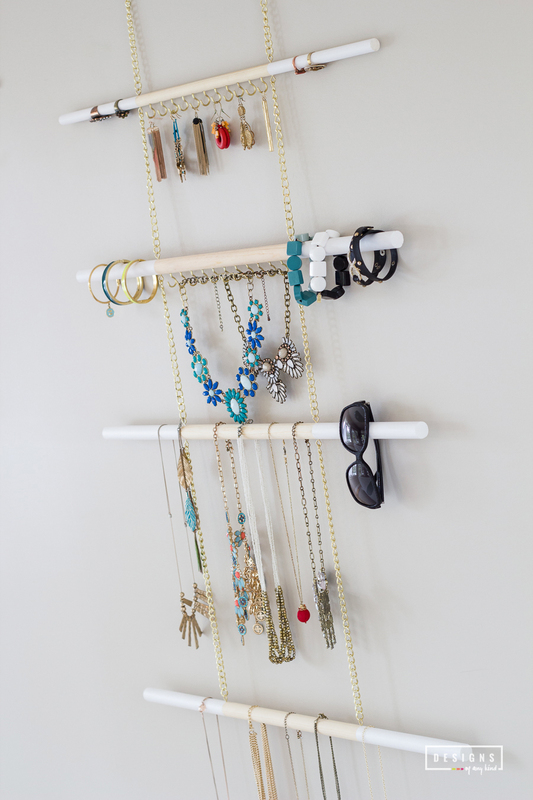 Now that I’ve had a few years to live with that jewelry organizer, and do what I could to straighten it every time I walked by – let’s be honest, I surrendered and just avoided eye contact as much as possible! Anyways, I had some new ideas on how I could improve it, so that is what I set out to do with this fun and modern DIY! 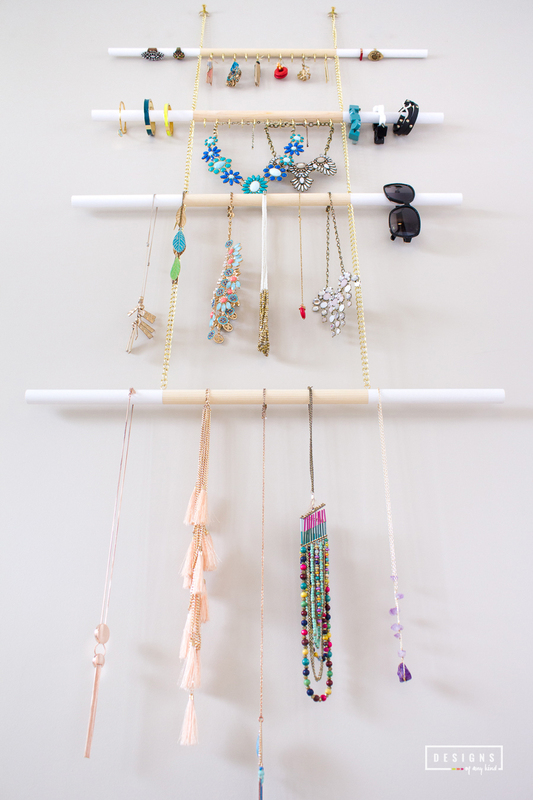 Now that I’ve built my new hanging jewelry organizer I can say there are two small things I would change. One is a slightly smaller diameter for the top dowel. A few of my pinky finger rings do not fit. 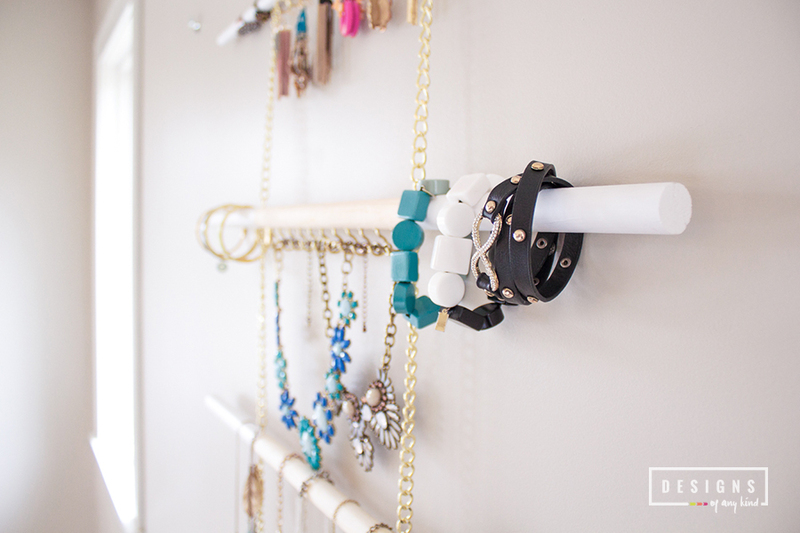 Second is using O-rings instead of D-rings for hanging the jewelry organizer. I’ve made sure to adjust these in the below list of materials for you, so it may be a bit confusing when you see then in these photos, especially the D-rings. Other than that, it has everything I need to get all of those bags of jewelry I’ve had stashed in my drawers. They are ready to see the light and finally get some use! Happy DIYing and cheers to the coming weekend! Hope you all have some fun plans! I’ve got a fun girls night planned with one of my BFFs where we will be testing out some Paloma drink recipes for the upcoming Cinco de Mayo. Woot, woot! 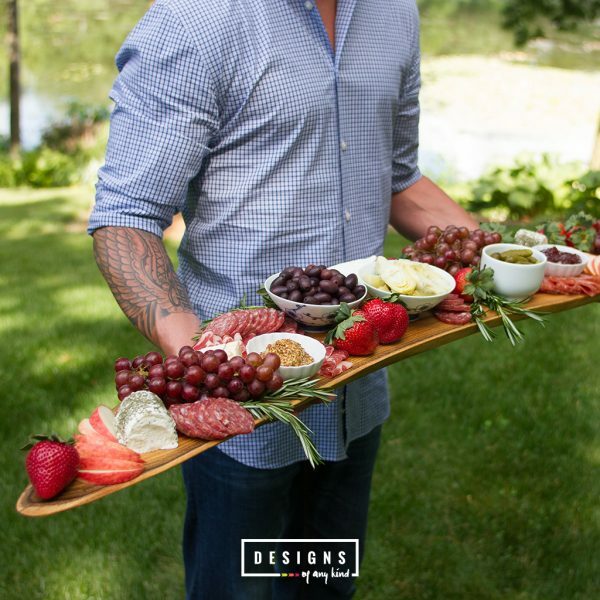 I’ve teamed up with a brand new distillery here in the Minneapolis area, called the Flying Dutchman Spirits. They have a silky smooth, easy-drinking 100% Blue Agave that will blow your mind and it’s going to take our Paloma drink to the next level! In fact, they just opened their cocktail room to the public today, so check them out! The owners are great guys and a lot of fun to talk with, but more on that next week when we reveal our wildly delicious Paloma cocktail recipe and talk about more about the Flying Dutchman Spirits. Remove any stickers. 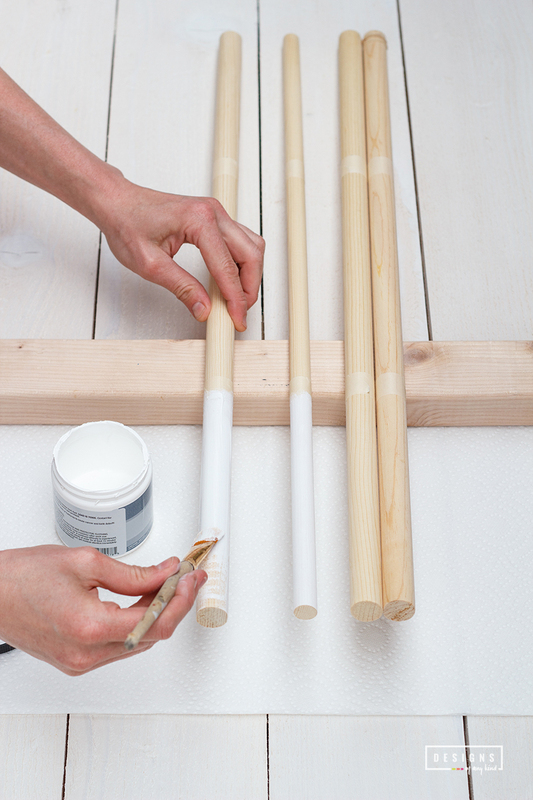 Give wood dowels a light sand to remove grit. Cut each dowel down to 28”. Making sure to cut off the colored end, if you have any. Sand each end smooth. Mark 8” in from each end. 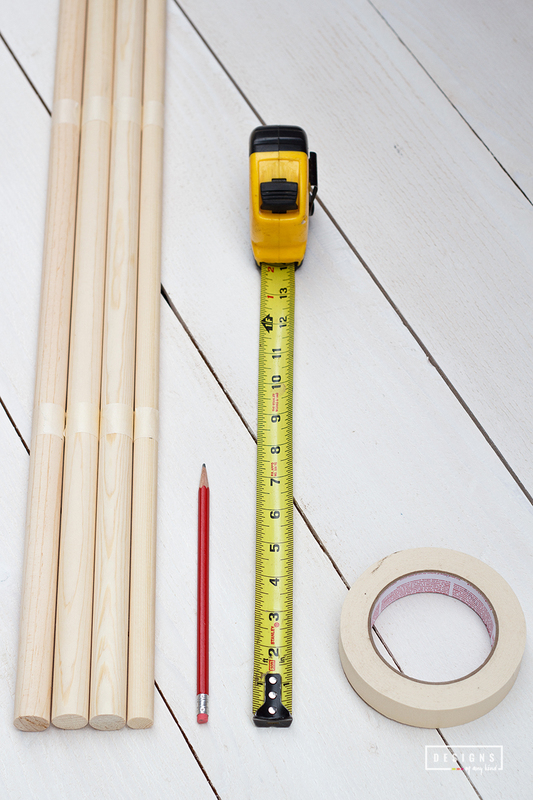 Place a piece of tape around dowel at each 8” mark. Paint each end. You can have fun and use either the gold or white paint, or go with a fun color of your choosing. Remove tape once the paint is dry. 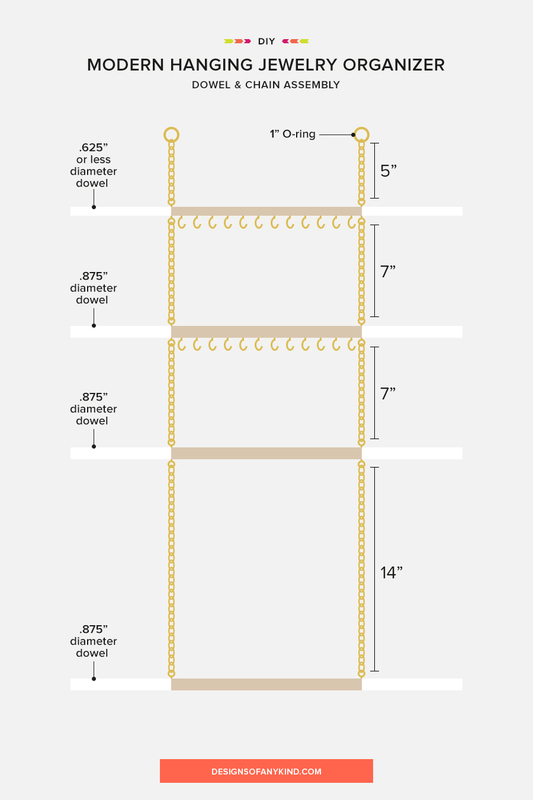 Separate your gold chain into the following lengths: 2 – 14”, 4 – 7”, 2 – 5”. These are approximate lengths. They will not be exact based on the type of gold chain you purchased. Get as close as possible. I purchase 3 packages of 24″ gold chain, so I had to pieces together a few remaining pieces of the gold chains to make one longer one. At the edge of the 8” mark (which is also the inner end of the painted white part) mark the placement of the brass screw eyes. 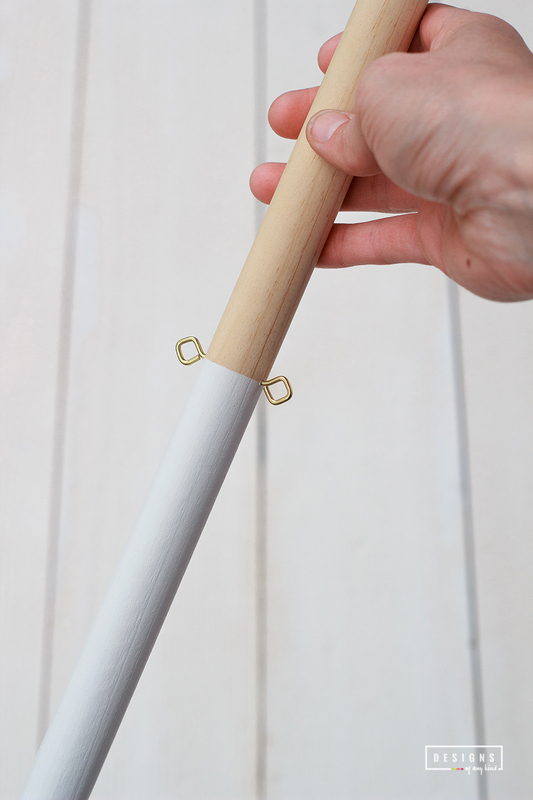 Do this for each end and the top and bottom the of the dowel. One large diameter dowel will only need eye screws on the top. 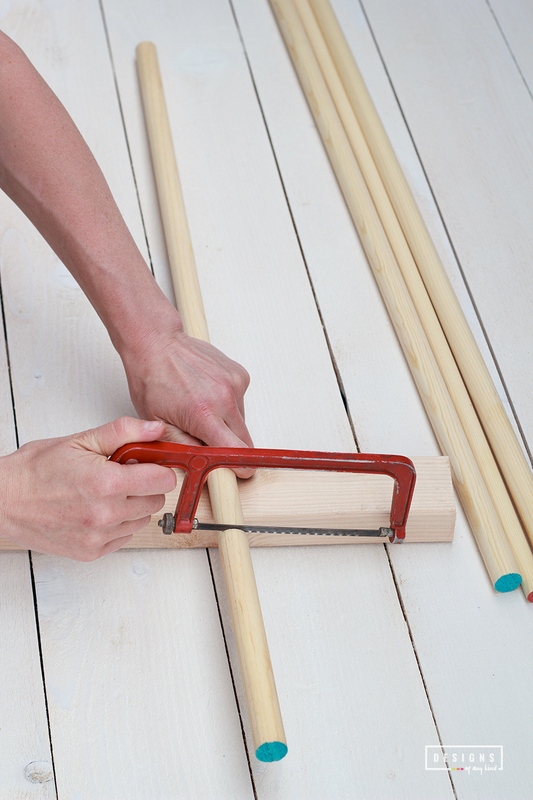 To get a more accurate position for top and bottom of dowel use a very large rubber band or piece of string. 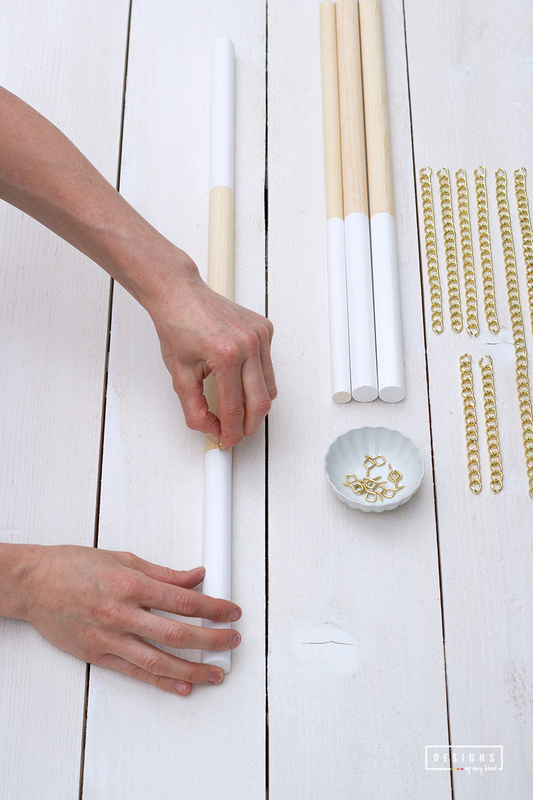 Wrap dowel lengthwise, making sure rubber band is centered down the length of dowel and even on both sides. Mark with a pencil along the line the rubber band or string creates. Screw brass eye screws into dowel by hand. They are relatively small, so it won’t be very hard. 3 dowels will have eye screws on both top and bottom for each end. 1 of the large diameter dowels will only get eye screws on the top. This will be hung at the bottom of the jewelry hanger, so chains will not be needed below that, therefore only needing the top eye screws. You will need your electric drill at this step if you don’t feel very strong. Taking one .875” x 36” wooden dowel (large diameter dowel) with eye screws on both top and bottom, and your only .625” x 36” wooden dowel (small diameter dowel). Using a pencil, mark a line of single dots approximately every 1″ along the bottom of both dowels (in the unpainted portion, which should be about 12′ wide). Your first dot should start 1″ from the eye screw on one side and the last dot should also be 1″ away from the other eye screw on the opposite end. Make sure your dots are in a straight line from one eye screw to the other. Using a drill with your very small drill bit, drill “starting” holes in each of your penciled dots. The holes should not be longer than the brass cup hooks screw end. It’s a bit tricky to drill these on your own, so if you have someone to help, I would do that. Insert one brass cup hook into each drilled “starter” hole, keeping each hook as straight and even as possible. This can be done by hand if you do not own a drill. Hand screwing each cup hook takes a bit more muscle but can be done. I did one dowel with a drill and the other without. 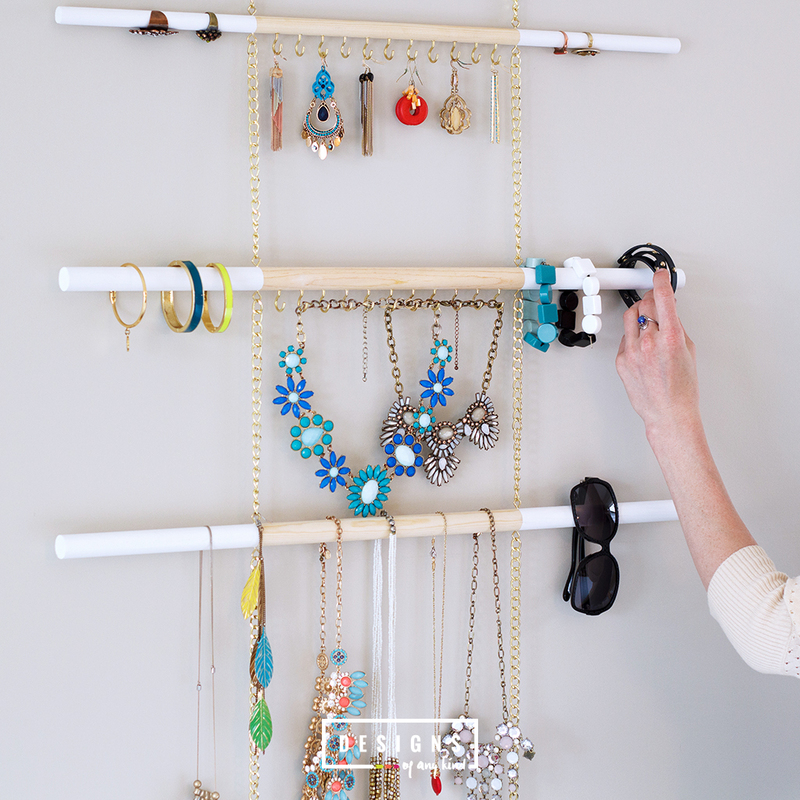 Choose the location for your hanging jewelry organizer. 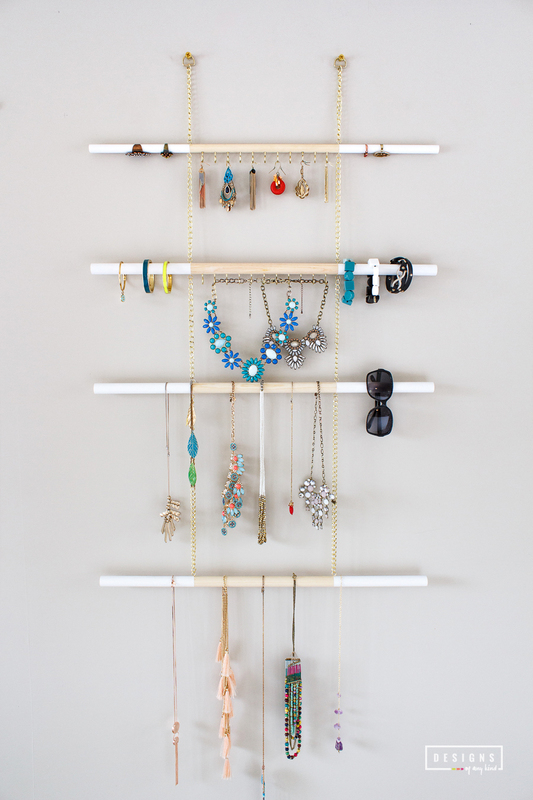 The completed jewelry hanger is approximately 35″ tall and 28″ wide. 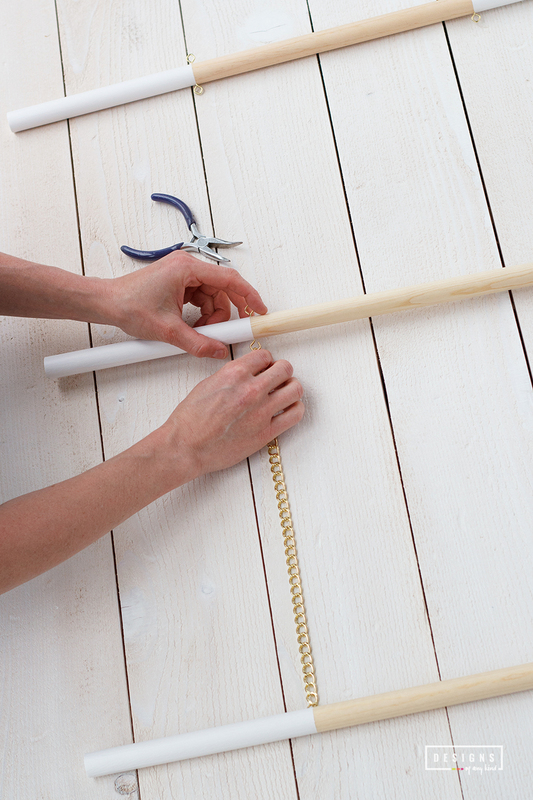 When hanging, making sure to allow for long necklaces hanging at the lowest dowel. Using your electric drill, create 2 “starter” holes about 12″ apart. Screw the 2 brass wood screws into the “starter” holes. 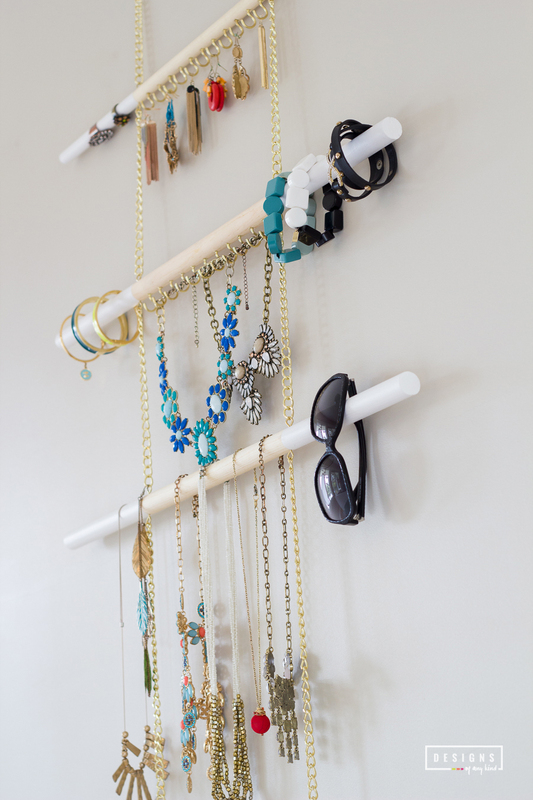 Doing this first will help you when you are double checking that the jewelry organizer is level. Lay out your dowels on a flat surface starting with the small diameter dowel at the top, followed by remaining three larger diameter dowels. The dowel with just eye screws on top should be at the bottom. See diagram above. 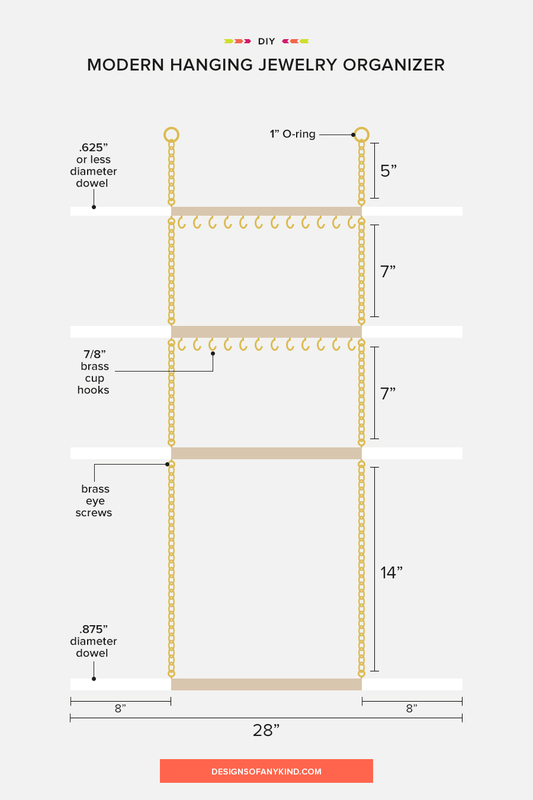 Layout each gold chain based on its length exactly as shown in the diagram above. Using a needle nose pliers, carefully open the unattached ends of the each eye screw – just enough to slip one of the gold chain links through. 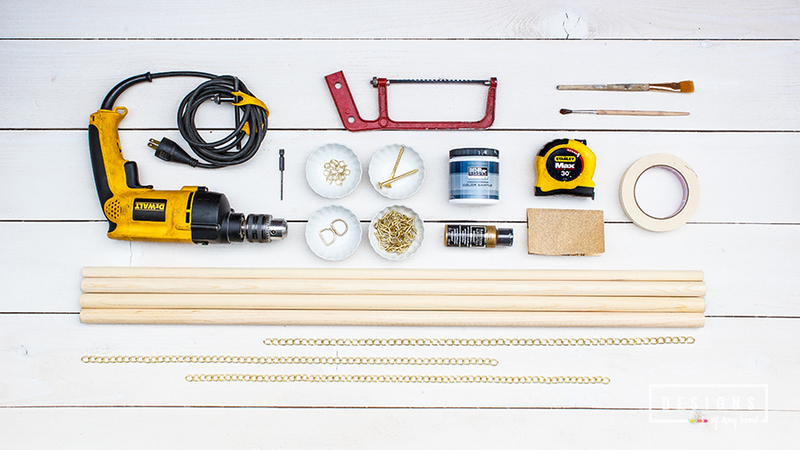 For the 5″ chains, carefully open one end of each chain and insert the O-ring. Using large pliers, close the chain back up. 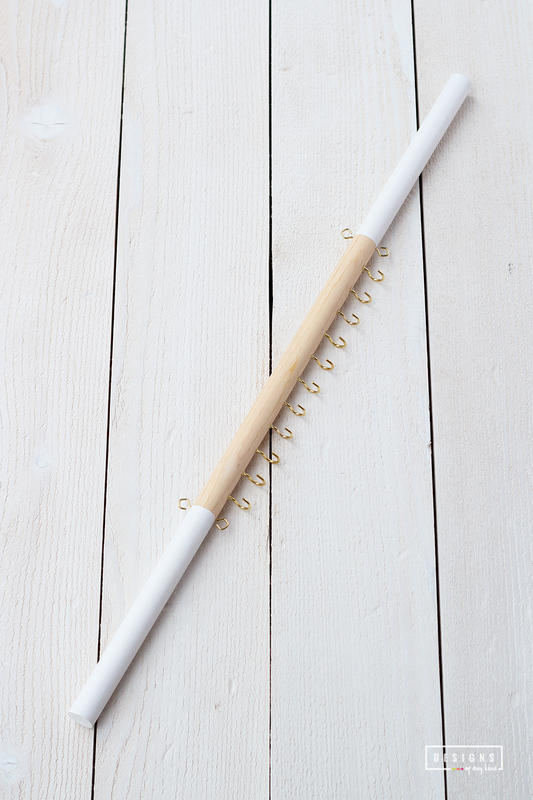 Starting with the top dowel, connect both 5″ chains with connected O-rings. 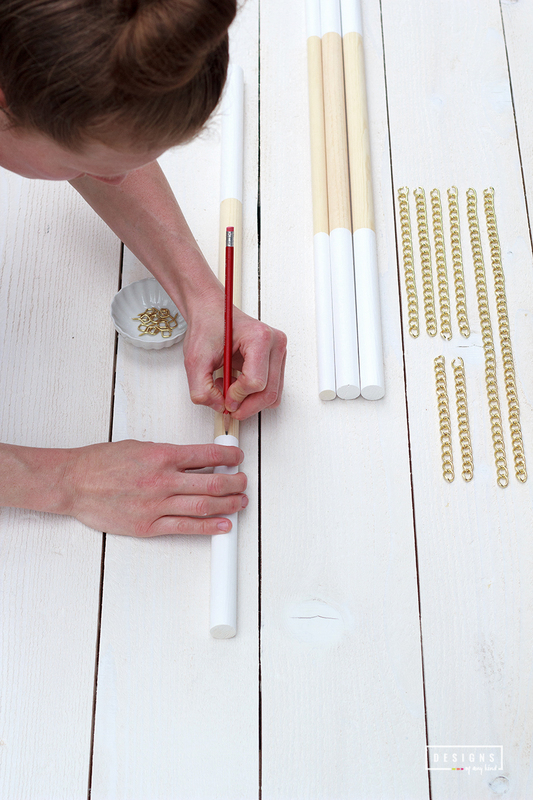 Next, connect the second dowel to the top dowel using the first set of 7″ chains. 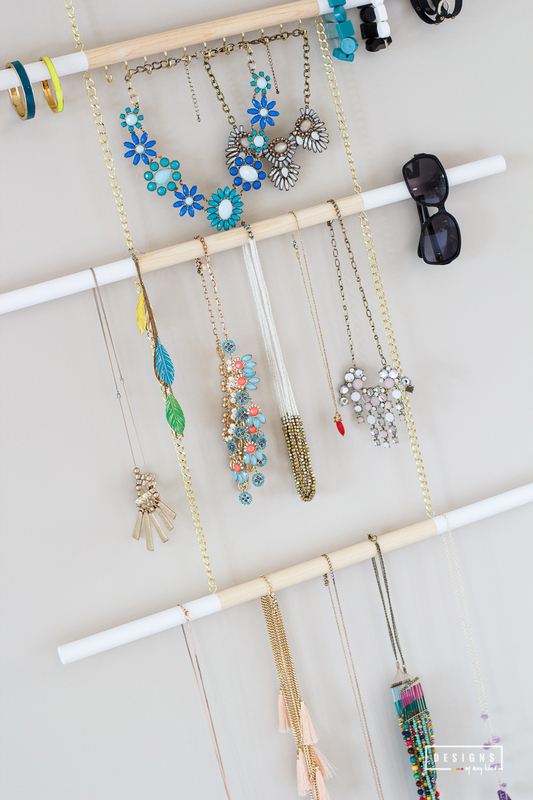 Hang this section of the jewelry organizer up on the two prepared screws on the wall. Hold a level tool to the top of the bottom dowel, making sure the level is flat against the wood and not the eye screws. Check to make sure the lower dowel is level. If it is not level, adjust one of the 4 eye screws by either unscrewing a few turns or screwing in further. This may require unlinking the chain from that specific eye screw to do this. Once that section is level close the open ends of the eye screws. Note: if you purchase a full spool of bulk chain, it’s likely all of the links are relatively consistent. Since the chain I chose was only available in shorter lengths, each package of chain wasn’t very consistent in link size. Adjusting the eye screws helps fix this. 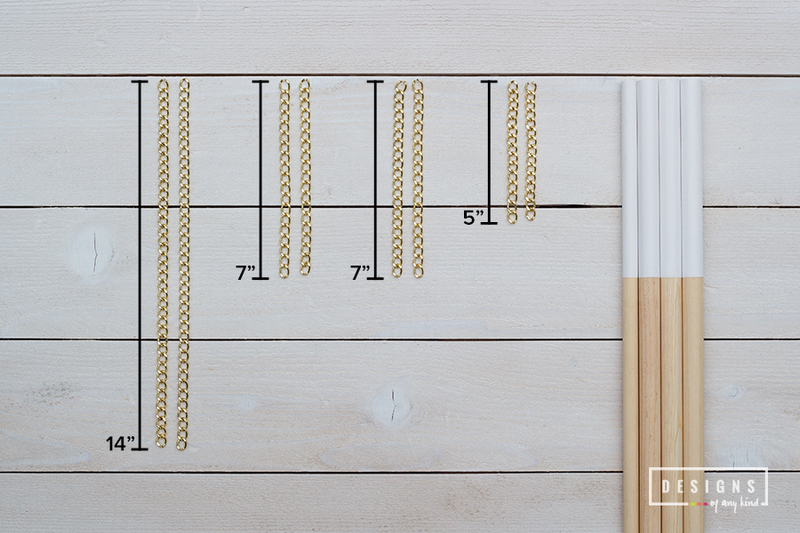 Repeat with the next dowel and second set of 7′ chains. Check to make sure everything is level and then finish with the final dowel. The one with eye screws on the top of the dowel only. 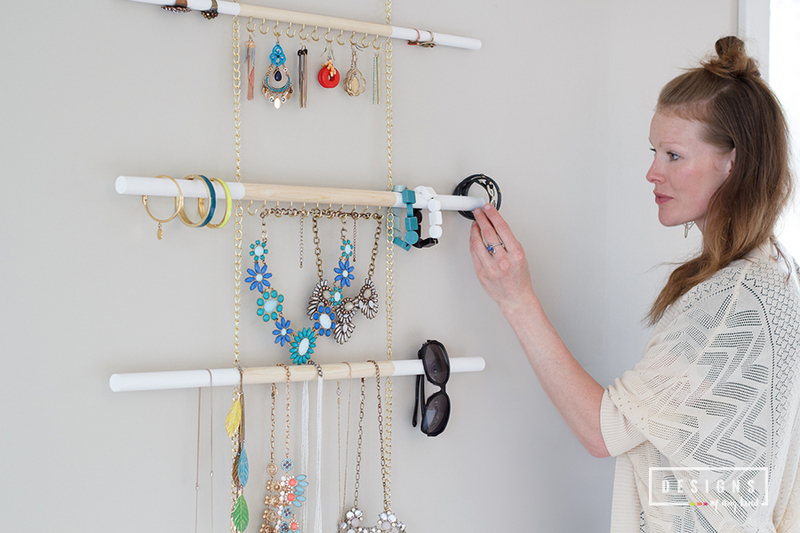 Make sure the entire hanging jewelry organizer is level, adjusting any eye screws if it’s not. I had to reopen a few of the eye screws and unlink that part of chain to accomplish this. 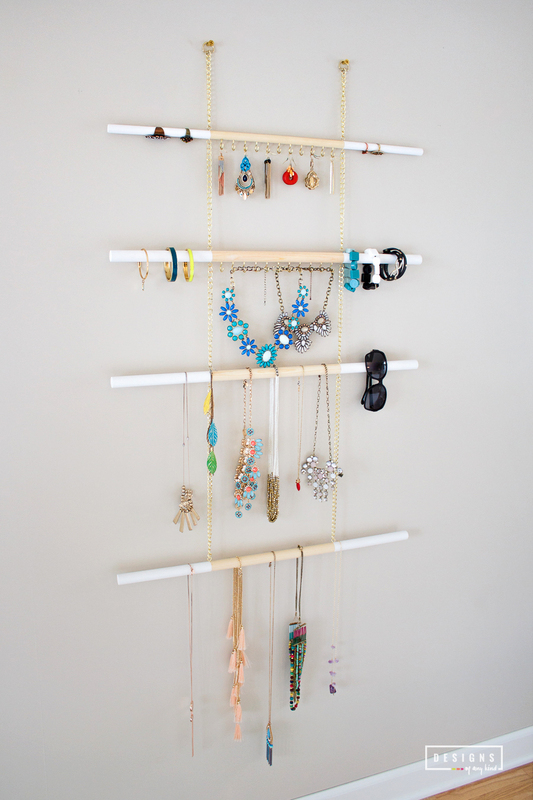 Hang the finished jewelry organizer up on the wall and have fun filling it will all of your beautiful jewelry! OMG! How did I miss this post?! This is TRULY AMAZING! I want this in my bedroom right now haha! I always always always forget to wear my watches and necklaces for the reason they are hanging up and hiding in my closet. 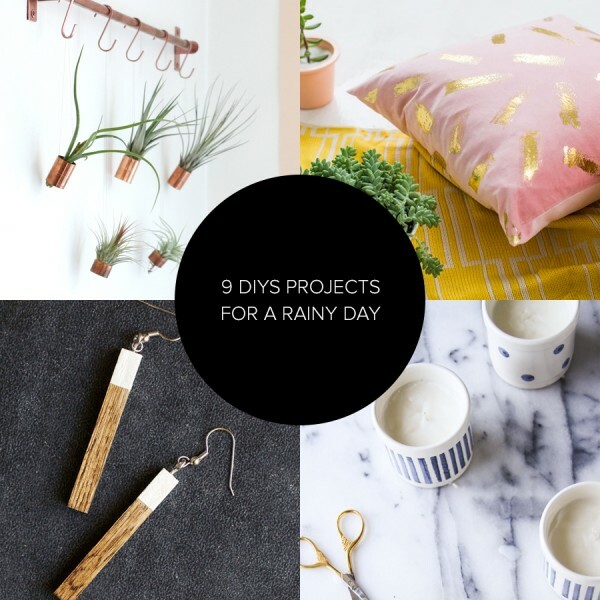 I definitely need to tackle this DIY 🙂 Great work Mel! You are just the sweetest! Thank you my dear! I know what you mean, I forget half of my jewelry all of the time because I simply can’t see it! 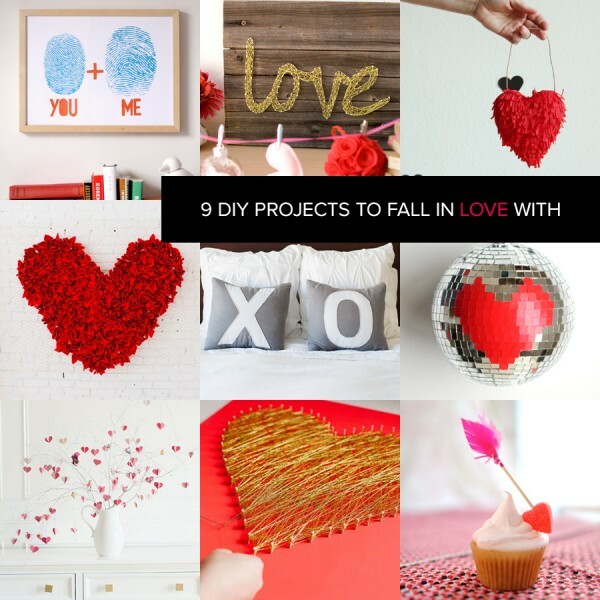 This was a really fun DIY that you could easy tackle in an afternoon! Luv ya!